This column has been corrected to reflect the city’s budget contributions to library systems. This fiscal year, the New York, Brooklyn, and Queens library systems received an increase of $10 million in operating funds. However, Mayor Bill de Blasio’s proposed budget cuts $10 million in library funding. Spring is here, and that means it's also fundraising season. Spirited Brooklynites will participate Saturday in Bike the Branches, a bike tour to support the borough's public libraries, as well as the Brooklyn PTA 5K run/walk in Prospect Park to raise money for public schools. Many public schools are also holding fundraising galas and auctions this month. Indeed, I have engaged a baby-sitter and will be putting on a dress to attend such a party with my husband at my son's school Friday. The people attending these events do so for a good reason: to support our most cherished public institutions. But there is a downside to the cheerful and generous festivities. All this biking, running and partying invite us to enjoy treating schools and libraries as charities. But schools and libraries are public entities, and we should demand adequate public funding for them. The patchy funding system for the libraries makes it hard for them to plan for the future and address capital needs, and many of our branches are in woeful disrepair. For instance, public libraries say they need about $1 billion from the city's capital plan to solve a maintenance crisis in their facilities in the five boroughs. Also, some school PTAs pay for such basics as substitute teachers, copier paper, arts education and field trips. When parents can't raise money, children often go without those things. Mayor Bill de Blasio is trying harder than his predecessor to help libraries and schools. 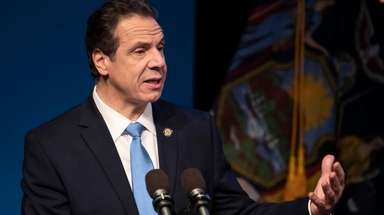 And the mayor said earlier this week that the New York City will boost spending by $34 million next year -- and $60 million annually in subsequent years -- for 130 struggling schools. This fiscal year, after a major grassroots advocacy campaign, the New York, Brooklyn and Queens library systems received an increase of $10 million in operating funds -- the first increase for the libraries since fiscal year 2008. But in the most recent version of the mayor's budget, that $10 million has been cut. So the campaign continues. Have fun this weekend, but let's continue to fight privatization, not revel in it.